The bold, baroque style of Versace have revitalized in fashion. I've always loved the silk chain print scarfs and the gaudy gold motifs. 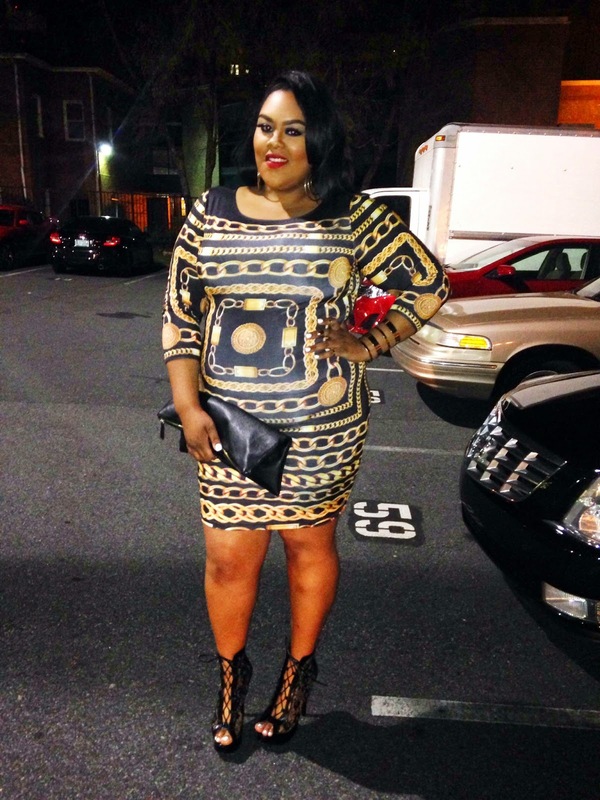 I kept true to the theme in a gold chain bodycon dress from Chic and Curvy Boutique. I love textures, so a platform lace bootie was a fun contrast to my dress. When wearing black, you should always have a bold lip - mine was go to "Red Racer" by MAC. I have a same high heels. But it's rubbing. 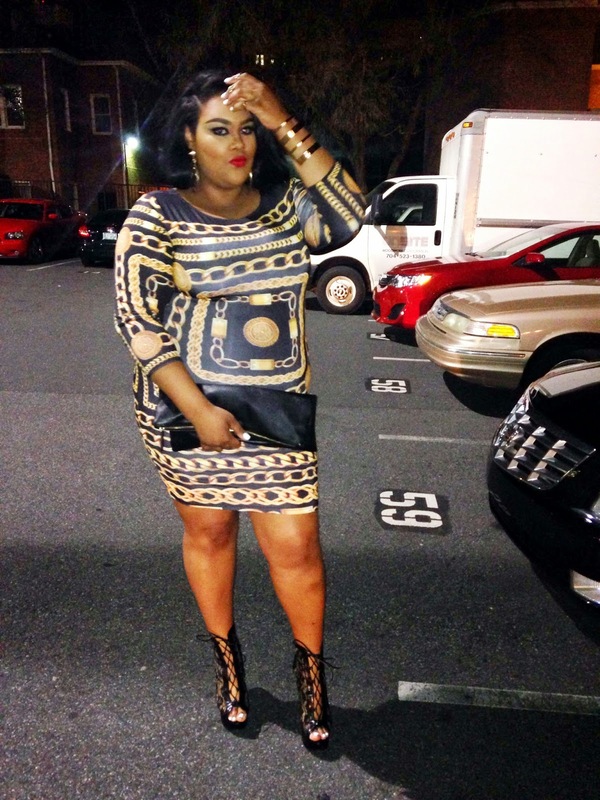 Girl your killing it in that dress and love those heels! !